Do You Know How Much Your Elevator Phone Costs You ? Your elevator phone and elevator phone monitoring may be a larger budget line item than you think. 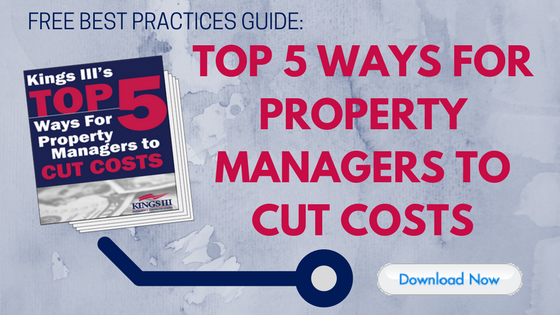 Take a look at how the costs can add up over time. Who takes care of your elevator phones and their monitoring, and are they costing you extra? As a property manager, this probably isn’t at the top of your list to look at regarding cost savings- after all, relative to many of your other expenses, the monthly fee that you pay to keep these phones up and running is fairly small. How much can these utility cost savings really make a difference? Here’s the thing: your elevator phone is a reasonably permanent fixture- as long as you have elevators, it’s something that will always be a need on your property. Not only does that fixed monthly cost start to add up, but there are other expenses associated with your elevator phone that are inevitable over a certain time. That’s something that Kings III takes into consideration. Our business offers life safety solutions that are unique for a number of reasons, including the training and professionalism of our emergency operators as well as the long-term cost savings that can be realized through utilizing our all-inclusive package. 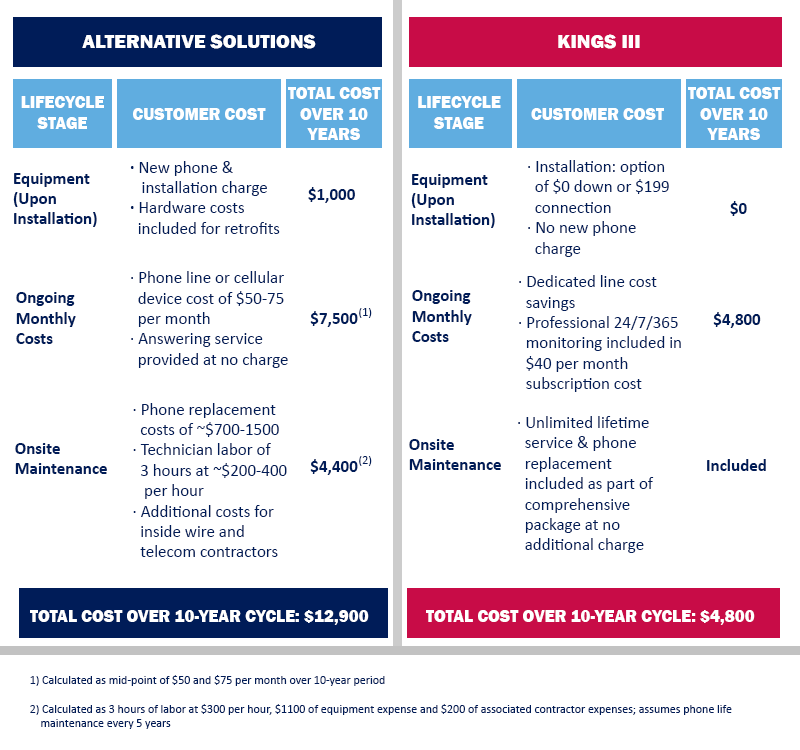 To illustrate these long-term savings, we will walk you through the table shown, which compares the costs associated with elevator phones over a ten-year period using Kings III and alternative solutions. Over a 10-year lifecycle, Kings III can save you money in three areas: elevator phone equipment costs, monthly utility expense and elevator phone maintenance, all discussed in detail below. The most basic and straightforward area of cost savings is the elevator phone itself. You likely know that Kings III’s services include equipment, installation, monitoring and lifetime maintenance. That means we provide your elevator phone free of charge, whereas other providers such as your elevator service company, including the Big 4 elevator manufacturers, charge around $1000, as seen in the example below. This cost remains relatively the same whether it be for a brand new installation or the hardware costs that are included during retrofitting. For the many of you that have either already eaten this cost and have an existing elevator phone installed or are installing an entirely new elevator system (in which case elevator phone equipment and installation is included as a small fraction of a much larger expense), this section can be disregarded. The next two areas to be discussed will be where you begin to see cost benefits on an ongoing basis. This is another area in which you can potentially see immediate cost savings with Kings III. You’ll see over time, what may have seemed like a small deduction ends up being a rather large sum of money. 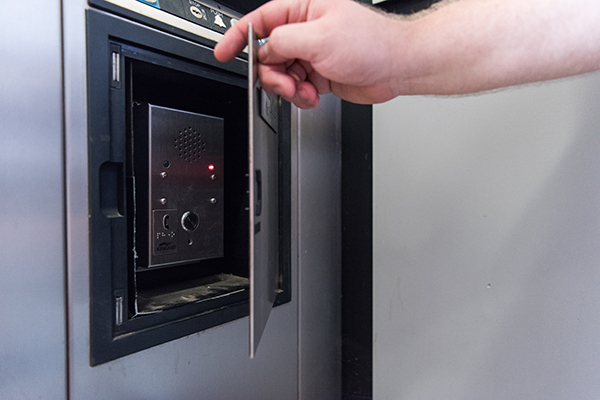 When it comes to your elevator phone, its ongoing costs include both those of the phone lines connected to these phones as well answering or monitoring services. Alternative providers to Kings III that you will be looking at for this area include phone companies, your elevator manufacturer or elevator service company and any other alarm monitoring providers. We’ll start with the cost of a phone line or a cellular device. 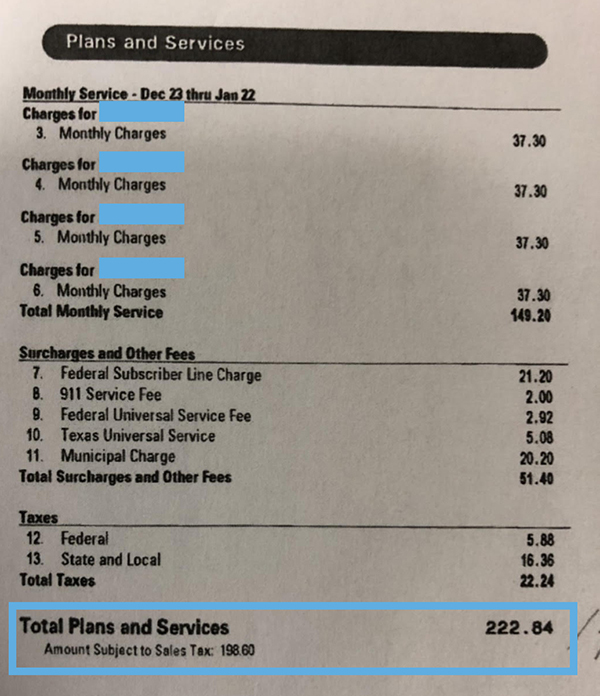 We typically see this costing properties an average of $50-$75 per month (see example phone bill to a local Texas property below). With extra fees and taxes included, the bill total comes to $222.84. Divide this by four for the four lines listed, and you come to a total of $55.71 per phone line. While some of your elevator companies may provide an answering service at no additional charge, you will still be expected to pay the cost shown above for your phone lines. If you do utilize a monitoring provider, you will have to pay for both the monitoring services (example cost provided below) as well as the cost of your phone line(s). Using the phone line information alone ($50-75/month), this averages to around $7500 over ten years. Here’s where Kings III can really help you: we utilize smart line seizure technology that allows your elevator phone to use one of your existing phone lines for calls while remaining code compliant. This completely removes the need for an additional phone line, eliminating that cost completely! The ongoing cost associated with Kings III is a $40/month subscription fee which includes 24/7/365 professional monitoring and many other value-added benefits. Ten years out, that will put you at $4800. Now, let’s talk repairs. Odds are your elevator phone will experience some sort of breakdown at least once during the span of ten years. Here’s some unfortunate news: elevator mechanics are some of the most expensive industrial workers in America, typically charging around $200-400 per hour, averaging around three hours on site. What’s more- they rarely travel to sites alone and will typically have a helper with them. While the helper will likely not run as expensive as the mechanic themself, there still will be an extra hourly charge for the additional person. If your phone needs to be replaced, this will be an additional cost. Furthermore, often, after assessing the situation, the elevator mechanic will discover that there is a problem with the elevator phone’s wiring. In other words, the issue becomes a telecom issue, and you will have to call out a telecom contractor at an additional cost. Given that the average lifespan for an elevator phone is 5-7 years along with the rates provided for replacement, we have determined that two phone breakdowns over ten years would cost you around $3000. With Kings III, lifetime onsite maintenance is included in our service packages as part of our monthly subscription cost of $40, mentioned above. That means no additional hourly repair charges- you won’t have to eat that additional cost if your phone breaks down! And there you have it folks. Those “small” savings seem a lot more significant now, don’t they? There are more benefits associated with Kings III than just our cost savings. To learn more, visit www.kingsiii.com.